Let me clue you in to my absolute favorite romance titles to date and what inspired me to get into the genre. I would recommend them for anyone who wants an introduction to the whole scene. 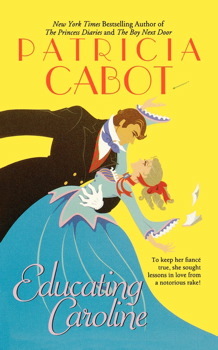 Firstly: Educating Caroline by Patricia Cabot (aka Meg Cabot ). Published by Pocket/ Simon and Schuster 2001. 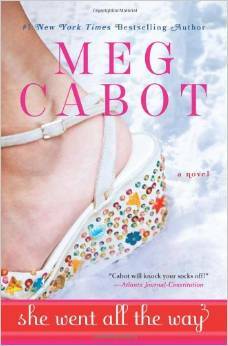 Now, most people will know Meg Cabot as the author of the NY Times best-selling Princess Diaries series (first published by Macmillan in 2000, 15th year anniversary eek!!). These were the books I grew up with. They helped during my awkward tween years and taught me about boys. I owe a lot to them… I actually still listen to the entire series audio books from audible. Anyway, Meg started her career writing romance under a pen-name. So her early novels are lesser known but really deserve more attention! I stumbled across them while searching for more Meg material on kindle. I loved the character progression and pacing. I think it takes skill to develop crackling chemistry between two characters who start off as unlikely partners. There is plenty of swoon, ardent confessions and also humour. 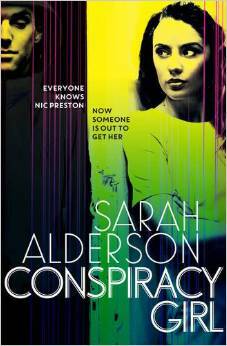 An undercurrent of mystery keeps the reader plenty to be interested in. It is a coming-of-age tale, x-rated but tasteful. I think the setting was well-researched, but after a few pages in I became so deeply involved with the characters that I did not stop to scrutinize whether something was realistic or accurate. I am absolutely delighted to learn that Meg’s other regency romances, which were out of print have just been re-vamped as e-books! Thank you Macmillan. So I will get my hands on these and post reviews. Not only this, but there are going to be two new Princess Diaries books this summer! One involving Mia as she prepares to marry her true love Michael Moskovitz . Yes, our dreams have been answered. Plot: Smart screen-writer Lou Calabrese is trapped in the arctic wilderness with arrogant and gorgeous actor Jack Townsend, after their helicopter crashes on the way to the film set and assassins are mysteriously after them. The two have to swallow their mutual dislike and try to survive. What could be better? The pacing and character progression here was also very good. 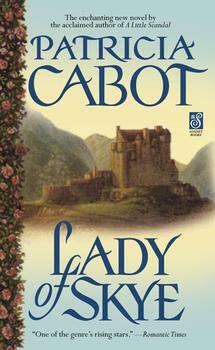 However, the characters were a little older than in Educating Caroline, which was more charming because of its sexual-awakening theme. Never the less it was both hilarious and hot. Plot: Dr. Reilly Stanton, still feeling wounded by the break-up of his engagement to a noble lady, takes up a medical post in a remote highland village on the Isle of Skye, where there is horrendous weather and rampant illness. He meets head-strong Brenna Donnegal, who has already filled her father’s role as local doctor and is not happy being replaced. I felt that the romance here was a little slow to pick up and I could not entirely relate to the narration as it was mainly from Reilly’s perspective. However, it was a great read and there were interesting historical facts about medicine. 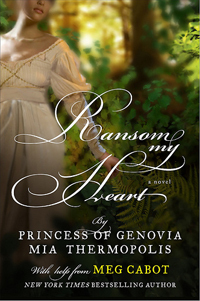 This is a type of spin-off for readers of Princess Diaries, written by Princess Mia herself, and a great addition for fans who were sad about the series ending. Plot: Set in medieval England, confident Finnula Crass captures a young earl, Hugo Fitzstephan, and holds him ransom in order to get money for her sister. He had just returned from the Crusades with a small fortune, and plays along with her scheme because of his immediate attraction to her. Soon Finnula finds herself fighting against her feelings for him. 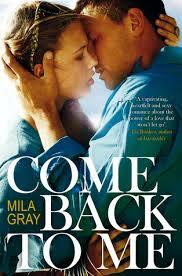 This novel tied in nicely with the 10th Princess Diaries book and the relationship between Mia and Michael. Like Educating Caroline it is a coming of age tale. I liked the descriptions of the setting and the language used. It was well-researched. However, I felt that the love scenes were a little repetitive and the realization of emotional love was quite late compared to the other books. Overall, I would strongly recommend any of these books as a starting point to romance and hopefully they will become your favorites as they are mine. I learnt from Meg that romance is simply about making readers happy and helping them to forget their troubles. These books certainly do that. And let’s face it, we all need that vital pick-up at some point in our daily lives. I hope your having an absolutely splendid start to your weekend. I am sure you have a lot of loving to do so I’ll keep it short and sweet. 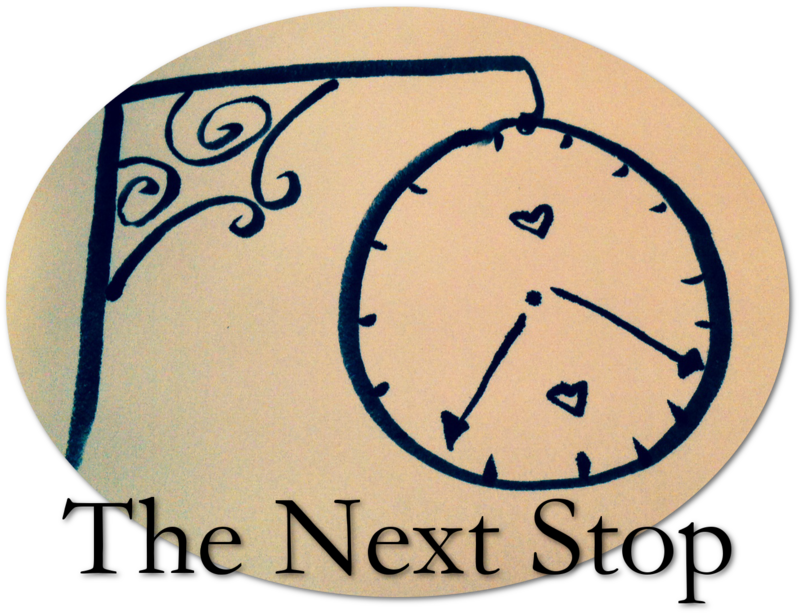 As a Valentine’s treat I am launching the first episode of a fort-nightly series, ‘The Next Stop’, today. A story about Savannah Plath, a young woman on a typically bad day; bad hair, bad clothes, delays on the underground. But when she enters the train, something changes. She collides head-long into romance, and ends up doing a lot more travelling than she intended. A mysterious tale to keep you amused and warm. Last weekend I attended my first romance festival- from the comfort of my own bedroom. Yes, Harper Collins UK and Mills and Boon teamed up to host a second virtual romance festival. This meant two days of an online feast of all things romance and erotica: twitter and facebook chats, website content and Google hangouts. What I enjoyed the most were tips dished out by the professionals; from writing your manuscripts to promoting your book. It is not every day I can have a half an hour tweet convo with a PR from Harper (trust me, I know they are busy bees). The main mantra was to FINISH your manuscript! Although this makes sense, its easier said than done. Not all of us can quite our jobs, some of us are still trying to find a job. But its not impossible. If I am still moving forward then the rest of you can too! The best thing about the festival was that I did not have to put on make-up or even get dressed to join in. It was all virtual. And if you missed out on the fun, do not fret! The content is still there and the website is still pumping out goodness.